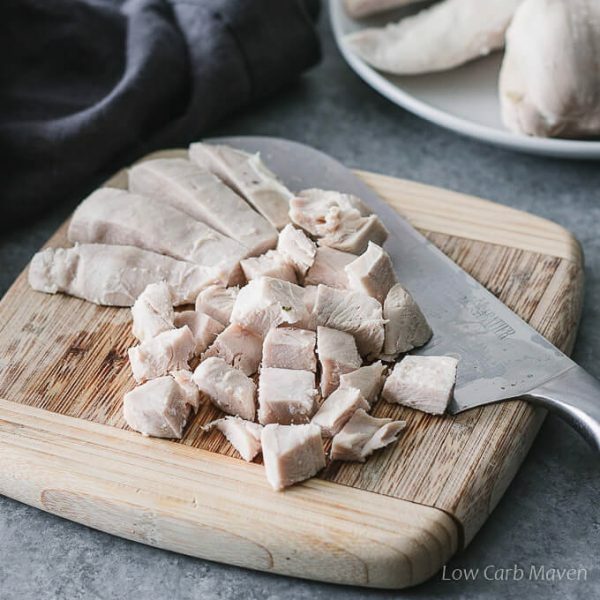 Poached chicken produces beautiful juicy white chicken perfect for chicken salads and Keto meal prep. Learning how to poach chicken is easy and the results are amazing. 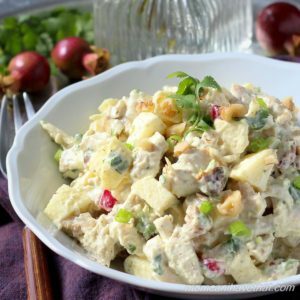 If you love chicken salad like I do, then you know tender chicken is the key to a good chicken salad. 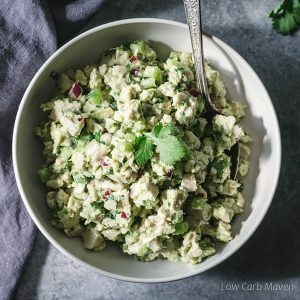 Whether you prefer a good curried chicken salad or a healthy avocado chicken salad without mayo, old-school poached chicken is the way to go! With rotisserie chicken as an affordable option now-a-days, many people don’t know how to poach chicken for chicken salads or other dishes. I don’t know about you, but sometimes I just don’t want to deal with another leftover rotisserie carcass and my freezer is full to bursting with bone broth. 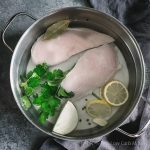 Poaching thawed chicken breasts or fresh chicken breasts from the store is an easy option on those days I have a little extra time. Poaching is a wet cooking technique resulting in tender juicy protein with no caramelization or browning. It’s commonly used with eggs, chicken, and fish, but poaching fruit in spiced fruit juice or wine is also popular. Poaching liquid is typically seasoned and imparts delicate flavor to proteins. Although poaching is an easy skill to master, without the proper attention it can go wrong, leaving you with rubbery dry chicken. The most important tip I can share is to NOT let the poaching liquid come to a rapid boil. Cooking the chicken gently in the poaching liquid is the way to go! Let the chicken come to room temp for 20-30 minutes before starting and gently pound to flatten to a more even thickness. Gather the aromatics for the poaching liquid. Common aromatics are lemon, parsley, bay leaf, peppercorns, thyme, dill, rosemary, onions, and garlic. Vary the aromatics depending on the finished dish. Add fresh ginger, garlic and dried chives for a Chinese inspired chicken salad or Indian inspired flavors for a curried chicken salad. Place chicken into the pot in a single layer. 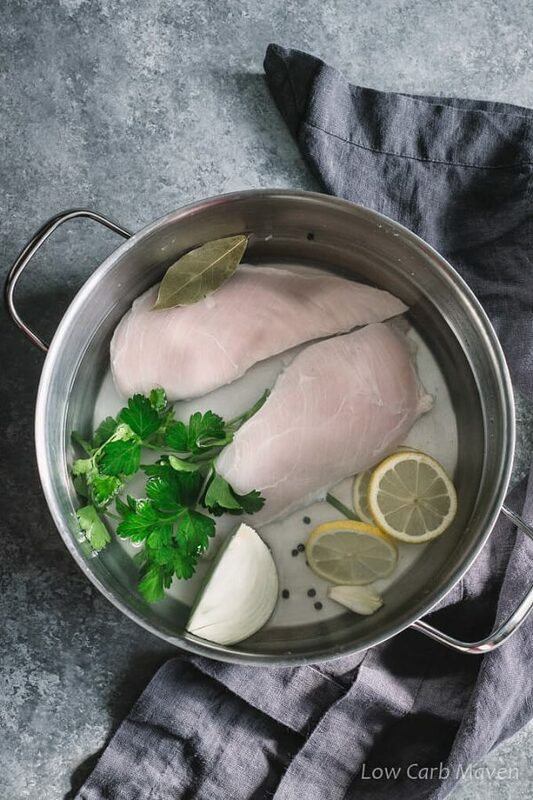 Cover the chicken with cold water (or broth or add a little white wine) to the depth of 1 inch over the surface of the chicken. Season with plenty of salt. Bring to a low simmer over medium heat. Turn the heat down to low and cook for 8-10 minutes at a very slow simmer until cooked through. The chicken is done when the juices run clear when pierced with a fork and the internal temperature is 170 degrees F. Let cool completely, then dice. Dicing while warm will result in ragged cuts (like in my photos) which may not matter if making a chicken salad, but may matter if the poached chicken is the star of the meal. Let the chicken come to room temperature for 30 minutes and gently pound to even out the thickness a bit. Meanwhile, gather the ingredients for the poaching liquid. Slice the lemons, cut the onion and crush the garlic. Add a few cups of water to a large pot and stir in the salt. Add the chicken to the pot in a single layer. Add the rest of the ingredients finishing with more water to cover the chicken by 1 inch. Place the pot over medium heat and let the contents come to a simmer. Periodically, give the pan a gentle shake to help distribute the heat evenly. Lower the heat to low and let gently and slowly simmer for 8-10 minutes until the internal temperature of the chicken reaches 170 degrees F. Another way to check if the chicken is done is to pierce the chicken with a knife or a fork and check that the juices run clear - not pink. 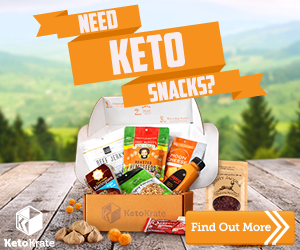 Previous Post: « How To Start A Low Carb Diet In 3 Easy Steps! I’ll admit, I get so nervous cooking chicken that I may have simmered the chicken a few extra minutes. I shredded it while warm to use in a salad and I think it’s great. Thank you for a new method to cook chicken. I only used lemon, bay leaf, and peppercorns. 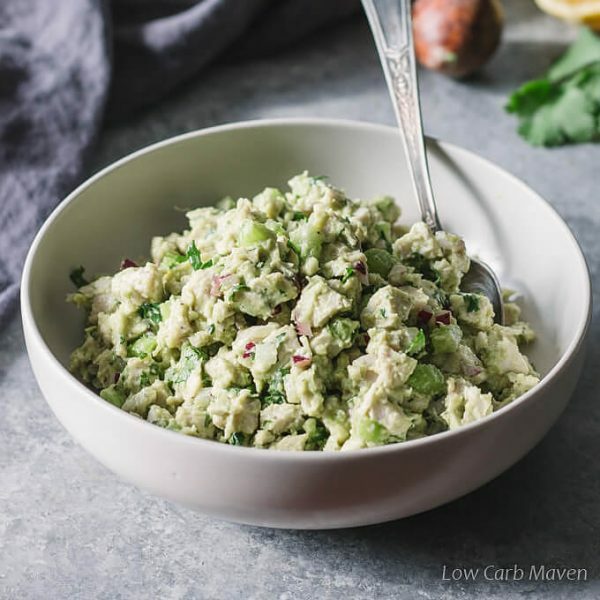 Thank you for this wonderful avocado chicken salad recipe. I admit I left out the celery (personal taste) but, I absolutely LOVE this delightful dish!! 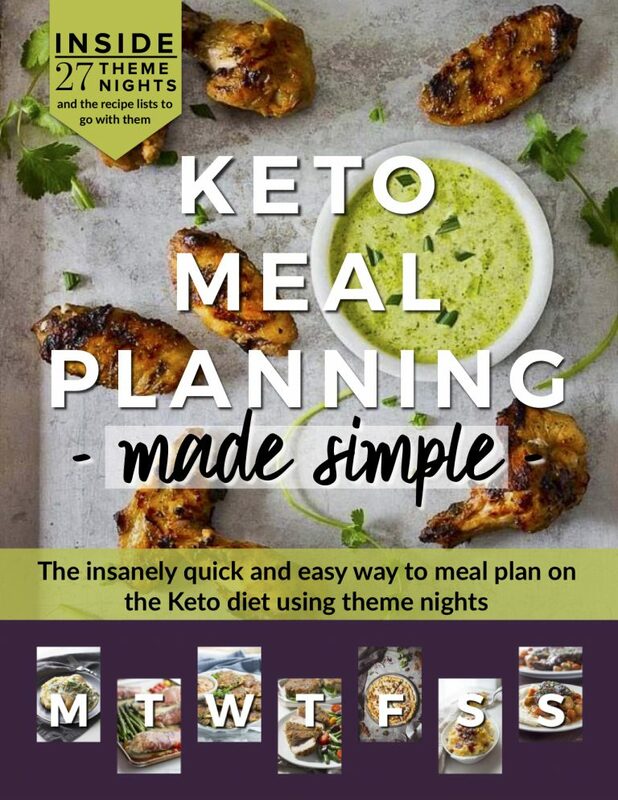 Thank you so much for your valuable contribution to keto culinary! 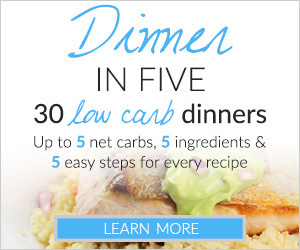 I have been perusing low carb recipes for some time now and yours our my favorite. You have a unique style (which I love) in step by step directions and it’s truly the best I’ve come across. Not to mention your recipes that I’ve tried so far are spectacular! Thanks so much and keep them coming!!!! You have one appreciative fan here! Hi, Kim! Thank you for this technique. 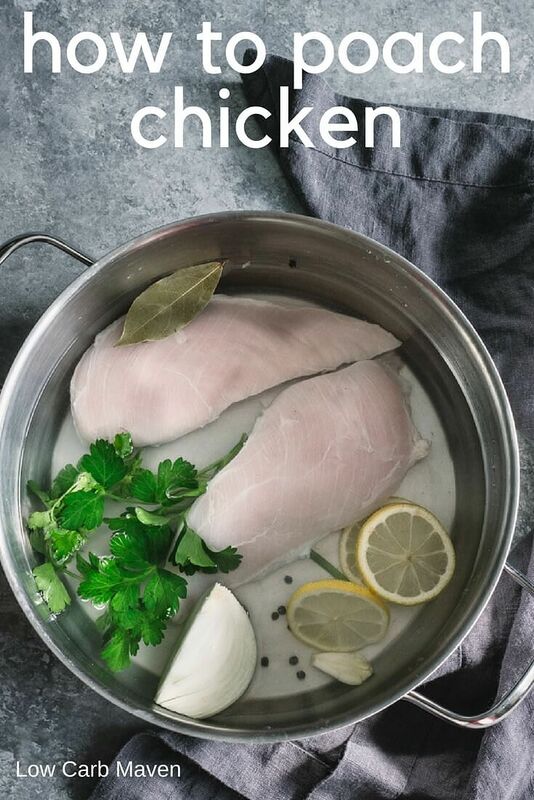 After searching for how to get perfectly poached chicken breasts every time, I came across a chicken breast poaching technique in Cook’s Magazine, and it turned out good, too. They use a brining liquid as the poaching liquid. I don’t recall the detailed amounts off the top of my head, but they used a gallon of cold water, and stirred in soy sauce, garlic, a bit of sugar, salt, thyme, until the salt and sugar had dissolved. (I substituted coconut aminos for the soy sauce, and a touch of sweetener instead of sugar.) They made sure the chicken breasts were no more than ¾ inch thick at the thickest, using a meat pounder to “adjust” the breasts that were too thick. They then arranged the breasts in a single layer on a basket steamer. (I had to scrunch mine together to make them fit.) The breasts-on-steamer were lowered into the (cold) brining liquid for 30 minutes, then put over medium high heat. Jiggle the steamer basket every few minutes to make sure the temperature of the water gets spread around. The water was brought just to 175° F, then the pot was taken off the heat and covered. (I used an instant read thermometer. Cook’s Illustrated had clipped a continuous-read thermometer to the side of their pot. Whatever works. But stopping at the right temperature is the point.) The off-the-heat covered pot rests for 15-20 minutes and the chicken’s internal temperature rises during that time. Once the chicken’s internal temp reaches 165° F, take the chicken out of the liquid and rest under tented foil for about five minutes before cutting, or just pop them in the fridge for use later. Interesting method, Brad. Thanks for sharing. I use a similar method for hard boiled eggs, starting them in cold water, and the eggs always come out perfect so why not use it with chicken and other proteins?Actually, the method I share is how I was taught in a cooking program I attended, but we used a hotel pan to cook many chicken breasts at once. For cooking on the fly for service, we had a few pans of poaching liquid at a bare simmer for each order. I’ll probably stuff mushrooms tops or bell pepper. 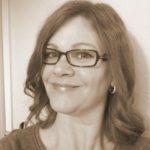 Thanks for the great recipes………..nice post too!! !